Clinton’s and Sanders’s appointees are sharply divided, so there’s sure to be a fracas—one that represents growing divisions among Democrats. When The Washington Post announced the Democratic Party’s platform-committee appointments for this summer’s convention, the uninitiated might have been forgiven for wondering why, in a primary contest dominated by domestic politics and policy, a foreign-policy issue got top billing. And yet there it was: “Sanders wins greater say in Democratic platform; names pro-Palestinian activist,” blared the headline. Sanders’s slate includes James Zogby, a longtime activist for Palestinian rights as well as a DNC member and official. Zogby currently co-chairs the party’s resolutions committee. His inclusion is a sign of Sanders’s plans to push the party’s policy on Israel toward what he has called a more even-handed approach to the Palestinian cause. That doesn’t mean, however, that picking Zogby holds no significance, or that the looming platform battle over Israel isn’t an important one. Party platforms may be mostly symbolic documents—they’re not binding on candidates—but they are a high-profile venue for setting party agendas and airing ideological disputes. With recent history as our guide, this appears to be exactly what is about to happen in the lead-up to the convention in Philadelphia. Platforms may be mostly symbolic, but they’re a high-profile venue for setting agendas and airing ideological disputes. At the 2012 convention in Charlotte, one such fight erupted over Israel. During the drafting of the platform, a foreign-policy wonk and former Defense Department official decided to strike a reference made in the 2008 platform to Jerusalem being Israel’s eternal and undivided capital—an old talking point for the Israeli right and the stateside advocates who so often parrot its positions. But the 2008 assertion was out of step with how the international community regards the holy city—not to mention longstanding US policy, adopted by Barack Obama, as well as a succession of Republican and Democratic presidents before him, of reserving determination of the city’s final status for negotiations. So Jerusalem was initially left out of the 2012 platform. But at the convention, after some needling from Israel lobby groups and Republicans, the issue came to the forefront. In an extraordinarily awkward moment, convention chair Antonio Villaraigosa asked delegates to approve by voice vote an amendment to reinstate the Jerusalem language in the platform. The vote required two-thirds of the delegates to shout in favor of the amendment, but it was clear Villaraigosa didn’t have such a majority. Despite that, he declared the amendment approved, to the booing of many Democratic delegates. Over the past four years, more and more liberals and Democrats have broken with the right-leaning pro-Israel positions imposed by the country’s US lobby. The break makes sense; American liberals have been given every reason to question how far their affinity for the small Middle Eastern country should extend. Prime Minister Benjamin Netanyahu has led the country in a steady rightward lurch. He vociferously opposed nuclear diplomacy with Iran, and in the course of the fight all but openly campaigned against Obama in the 2012 presidential contest. Netanyahu denounced the nuclear deal, and, insulting the president by arranging behind the White House’s back to address Congress, led a mostly partisan effort on Capitol Hill to kill the accord. In a powerful symbol of discontent, dozens of Democratic members of Congress boycotted the prime minister’s speech. Meanwhile, progress toward any semblance of a solution to the Israeli-Palestinian conflict seems stalled, not least because of the Netanyahu government’s intransigence and efforts to entrench the nearly 50-year occupation. It’s no wonder that, slowly but surely, American liberals are siding more and more with the Palestinians. Bernie Sanders, for his part, has shown flares of leadership on this issue, siding with the vanguard of liberal opinion. He declared in a debate with Clinton this spring, “There comes a time when if we pursue justice and peace, we are going to have to say that Netanyahu is not right all of the time.” Clinton, on the other hand, has shown the opposite tendency, promising to mend fences with Netanyahu. The chasm between these two postures could lead to fireworks as the platform is crafted. The platform committee will only begin to gather over the next few weeks, but it’s easy enough to guess where the battles might occur. The candidates have already shown divisions over diplomacy with Iran—which in Washington is an Israeli issue. Likewise over settlements. Though the illegal Israeli colonies haven’t been much of an issue in the 2016 primary, Sanders’s website at least says that Israel should “cease developing settlements on Palestinian land.” He also criticizes the Gaza blockade. This willingness to speak basic truths about the conflict was evident in the Democratic debate in Brooklyn. One would be hard pressed to find Clinton, in Brooklyn or anywhere else, saying anything substantively critical about Israel or its right-wing government. She did criticize settlements early in her tenure as Secretary of State, but such language has disappeared completely from her lexicon. Her website, in contrast to Sanders’s, reads like a paean to Israeli security needs, with a list of her actions on behalf of the Jewish state. Another potential battle could come over the burgeoning movement to boycott, divest from, and impose sanctions against Israel (BDS). For her part, Clinton has pledged to her top donor—billionaire Haim Saban, who is solely focused on Israel, with a right-wing bent—to fight BDS. It’s notable, then, that this week New York Governor Andrew Cuomo, a close Clinton ally, launched a potentially unconstitutional and certainly illiberal official attack against BDS. Yet another Sanders appointee to the committee, academic Cornel West, long ago endorsed BDS. Will the committee members that Clinton chose provoke a fight by trying to establish an anti-BDS plank? 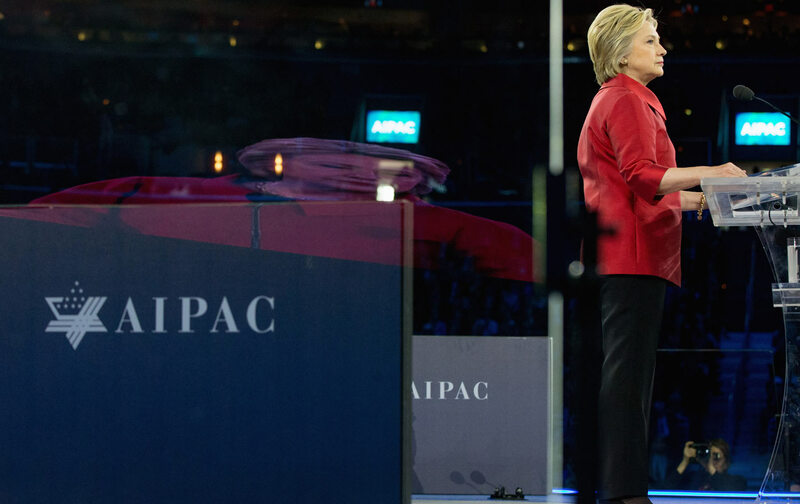 Will Clinton’s committee members provoke a fight by trying to establish an anti-BDS plank? None of this, however, is to say that these platform fights, should they occur, will have any staying power. Clinton is now the presumptive nominee. Sanders has only five spots on the committee. Between Clinton’s six picks and the remaining four selected by the head of the Democratic National Committee—Representative Debbie Wasserman Schultz, a staunch pro-Israel advocate in the traditional mold—it seems unlikely that a radical departure from Democratic fealty to Israel is in the offing. The 2012 Charlotte convention demonstrates how the party establishment can steamroll insurgent opinion—or even a sitting Democratic president’s actual policy—on this issue. But Clinton, Wasserman Schultz, and the party establishment are on the wrong side of history. When it comes to Israel, Sanders’s positions and his platform committee choices represent the growing liberal disillusionment with an increasingly right-wing Israel. Not least because of the Israel lobby’s disquieting influence and the acquiescence of politicians like Clinton, progress toward resolving the Israeli-Palestinian conflict has come at a snail’s pace. In this sense, to have the fight—while not quite as good as winning it—will be a victory, in its own way. The power and influence of liberals fed up with Israel’s repression of Palestinians, and the Israeli government’s unremitting hawkishness toward Iran, is bound to grow, even as the bankruptcy and cravenness of clinging to the status quo is further exposed. In this sense, getting their planks into this year’s platform is less important for liberals than the need to continue pressing for justice whenever they can, in every forum where their voices will be heard. Eventually, the arc of the moral universe will bend toward them.